Interskate 91 has been hosting children’s birthday parties for over 39 years. We are very good at what we do. 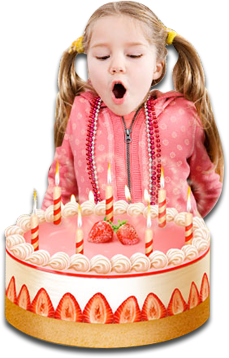 Give your child an “Amazing” party, a party they will never forget, a birthday party here at Interskate 91….Where “Amazing” happens! Send a reservation request now... anytime Just use the "Reserve it" button at the top of this page. Parties may be booked during all public skating sessions. A $100.00 deposit must be paid to reserve your party. Deposits are non-refundable. Deposits may be transferred to another party date a minimum of ten days prior to the original party date, based on availability. Parties can be scheduled during most open skating times. You may bring a cake, cupcakes, or individual serve ice cream to your party. No other refreshments may be brought into the facility. We have a full service quick serve restaurant for your convenience.